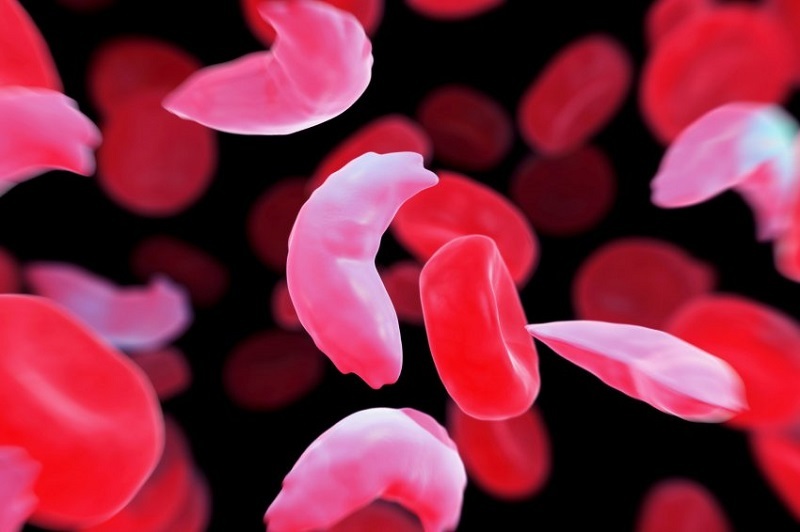 Researchers validate non-chemotherapy based cure for sickle cell in adults. Doctors have known for some time that bone marrow transplantation from a healthy donor can cure sickle cell disease. However, few adults were transplanted because high-dose chemotherapy was needed to kill off the patients’ own blood-forming cells, and their entire immune system, to prevent rejection of the transplanted cells, leaving patients open to infection. Now, researchers at the University of Illinois Hospital state they have cured 12 adult patients of sickle cell disease using a unique procedure for stem cell transplantation from healthy, tissue-matched siblings. The team state that the new technique eliminates the need for chemotherapy to prepare the patient to receive the transplanted cells and offers the prospect of cure for tens of thousands of adults suffering from sickle cell disease. The opensource study is published in the journal Biology of Blood & Marrow Transplantation. Previous studies show that about 90 percent of the approximately 450 patients who have received stem cell transplants for sickle cell disease have been children. Chemotherapy has been considered too risky for adult patients, who are often more weakened than children by the disease. Adults with sickle cell disease are now living on average until about age 50 with blood transfusions and drugs to help with pain crises, however, their quality of life can be very low. The current study has shown that with this chemotherapy-free transplant, adults can be cured of sickle cell disease, and observing that their quality of life improves vastly within just one month of the transplant; they are able to go back to school, go back to work, and can experience life without pain. The transplants were the first to be performed outside of the National Institutes of Health campus in Maryland, where the procedure was developed in earlier studies. Physicians there have treated 30 patients, with an 87 percent success rate. The results of the phase I/II clinical trial at UI Health, in which 92 percent of treated patients were cured. In the current study 13 patients aged 17 to 40 years were transplanted with a stem cell preparation from the blood of a tissue-matched sibling. Healthy sibling donor-candidates and patients were tested for human leukocyte antigen, a set of markers found on cells in the body. Ten of these HLA markers must match between the donor and the recipient for the transplant to have the best chance of evading rejection. The participants received immunosuppressive drugs just before the transplant, along with a very low dose of total body irradiation, a treatment much less harsh and with fewer potentially serious side effects than chemotherapy. Results show that stem cells from the donor produce healthy new blood cells in the patient, eventually in sufficient quantity to eliminate symptoms. Data findings show that in many cases, sickle cells can no longer be detected with patients only continuing to take immunosuppressant drugs for a minimum of a year. The team note that in a further advance of the NIH procedure, they have also successfully transplanted two patients with cells from siblings who matched for HLA but had a different blood type. The team state that in all 13 patients, the transplanted cells successfully took up residence in the marrow and produced healthy red blood cells; and stress that one patient who failed to follow the post-transplant therapy regimen reverted to the original sickle cell condition. They go on to add that none of the patients experienced graft-versus-host disease, a condition where immune cells originating from the donor attack the recipient’s body. One year after transplantation, the 12 successfully transplanted patients had normal hemoglobin concentrations in their blood and better cardiopulmonary function. The lab state that the participants report less pain and improved health and vitality. They go on to stress that four of the patients were able to stop post-transplantation immunotherapy without transplant rejection or other complications. The team surmise that adults with sickle cell disease can be cured without chemotherapy, the main barrier that has stood in the way for them for so long. The researchers conclude that their data provide more support that this therapy is safe and effective and prevents patients from living shortened lives, condemned to pain and progressive complications.